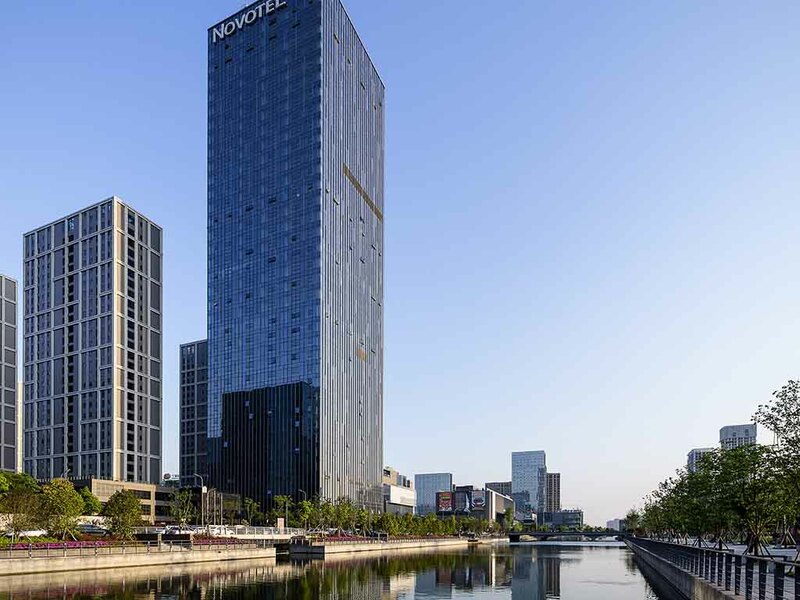 Located in the New City Zone of East Ningbo, the 258 room Novotel Ningbo East is only 2 minutes by foot from Exit A, Haiyan North Road metro station. It is also close to Ningbo International Expo Center, Ningbo Culture Plaza and IFC of Ningbo. In addition , the hotel is 20 mins by car to Ningbo Railway Station and 30 mins to Ningbo Lishe International Airport. It features an international buffet, large meeting room facilities and fitness facilities. Perfect for both business and leisure travelers. New generation. Design, modern and comfortable: King bed, free WiFi and wired high speed Internet access, 42" LCD TV, safe and hair dryer. Up to 2 adults and 2 children.